The Power User package is available as an in-app purchase for $ 14.99 in the US. Purchases are handled by Apple. Prices in other countries follows Apple’s pricing tables. Any taxes or VAT are handled by Apple’s App Stores according to regulations for each country. The Power User package is available as an in-app purchase for USD $17.99. Purchases are handled by Paddle. Any taxes or VAT are included in the price. 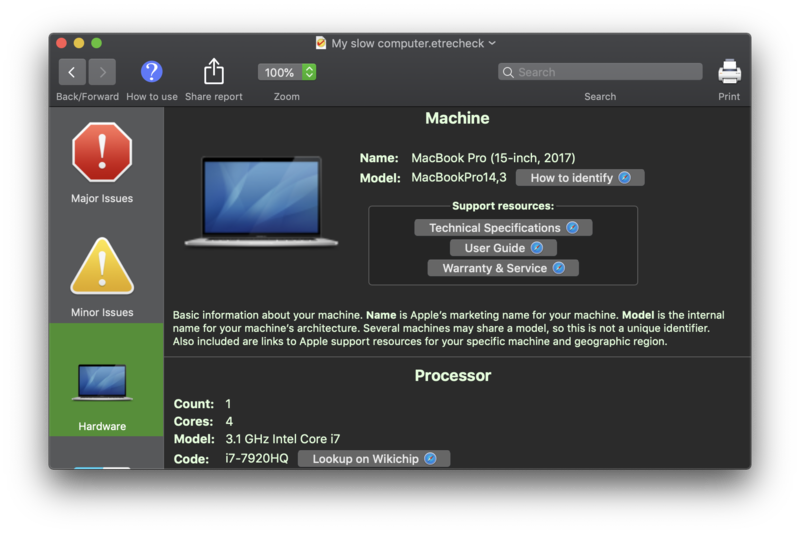 System requirements A 64-bit "Intel" Macintosh computer running OS X 10.10 “Yosemite” or later. A 64-bit "Intel" Macintosh computer running OS X 10.9 “Mavericks” or later. Install Install via the App Store. 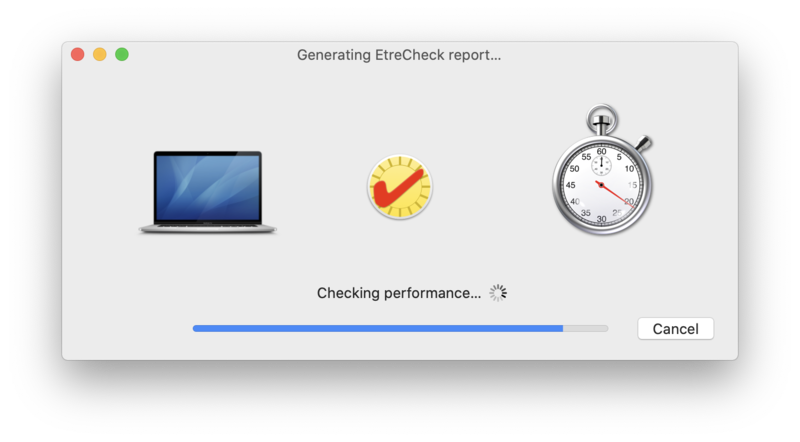 EtreCheck does not need to be installed. You can run it right from your Downloads folder. Of course, you can also drag it into your Applications folder and run it from there. By default, Safari will automatically expand the download into an executable app that you can just double-click and run. 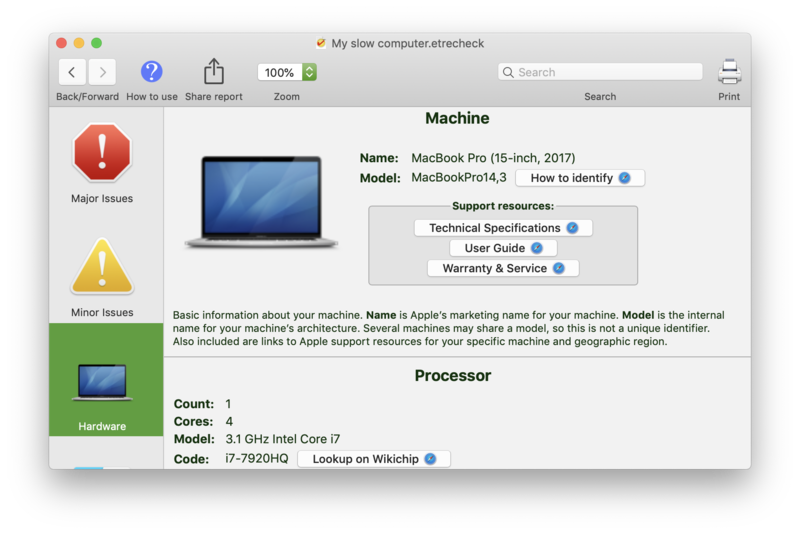 If you have changed your default download settings, you may have to double-click the “EtreCheckPro.zip” file to expand it into an executable file that you can double-click to run. 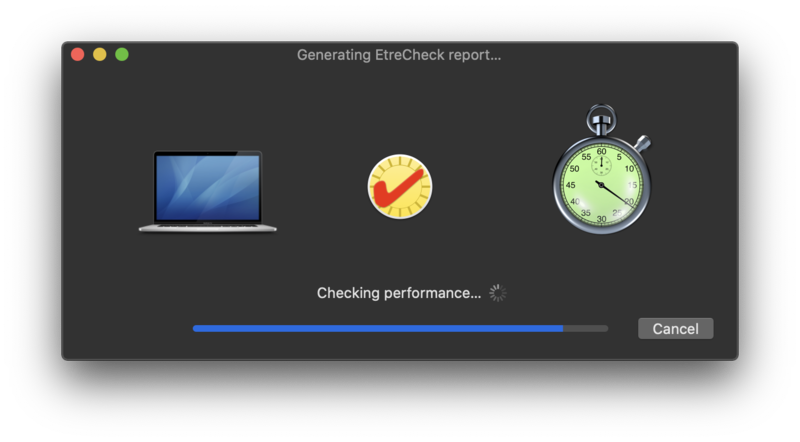 Click and hold the EtreCheck icon until it shakes and an X button appears in the upper left corner. Just drag the EtreCheckPro app to the trash. Many other bug fixes and other improvements. Read more about the differences between EtreCheck and EtreCheckPro.